This excellent and honest media continues to be pressed and sold in the United States, Europe and Japan, mainly, where it awakes glamour and it confers vintage airs for some who enjoy it, beyond providing a true sound. The LP is the materialized sonorous wave in your hands. VINYL X CD - Vinyl sounds superior, with 48 kHZ non limited ceiling decibel SPL, occasionaly having frequencies called "transients" who can go up above 60 kHz or more. Christine Tham, Doctor in Informatics Cience, has done a test about this. See in the link below. General blog index: http://joaquimcutrimblogs.blogspot.com (Atualizado em 15/03/2011). See Christine Tham test in http://vinilnaveia.blogspot.com - translate it to portuguese and localize the link about it (Inicial texts of the blog mentioned). Also visit interesting site: http://www.glitcher.net - Cell Phone Reviews. The question of VINYL x CD has been stage of many and heated debates, mainly in the Internet, where some publications exist on the subject. However, serious defects in the boarding of a subject which is very scientific and sociological, being main of them the lack of a deep and based research. In an initial vision, already to present this interesting subject, ingression in the differences that mark one and another one: Leaving of the technician-scientific point of view, we will initiate with the problem of the sampleamento for digital, of the great cares that the analogical equipment requires; the vinyl has appearance; the COMPACT DISC does not have, the COMPACT DISC suffers with the corrosion (corruption of dye for fungs or oxidation of light reflective to layer); the vinyl not; to hear a good analogical sound costs expensive; digital sound is cheap; a vinyl you even hear without electricity (only with a cone of paper and a needle), the COMPACT DISC not, the vinyl you are natural, authentic, the COMPACT DISC you are synthetic, inautêntico, even so pure, etc. Of the sociological point of view, you do not lack preconceptions and partial boardings, extremely subjective, as if the society was not plural and all had to always walk for an only place. As if the diversity was not allowed. The most impressive E: As if the universe of the question it was alone Brazil, as if everything that occurs and occurred in Brazil was obligatorily valid for the remaining portion of the world, in an instant and despudorado etnocentrismo… I will try, in this text, some stages, to approach, beyond the part technique, the more common points of view, as well as also the preconceptions. Is very usually to say in “analogical sound” and “digital sound”. The first term is correct, a time that means analogous sound to the Real, to the original; e is used in the subject to correspond to that sound that does not suffer no on process to the data processing. Already the term “digital sound” is incorrect, a time that our ears alone can hear real sound - present in air - or the analogical sound to the Real - that one that “was manufactured” from the Real. That is: we only can hear or the sound to the living creature, Real, original - a band, for example, or that one that were manufactured and rank inside of a media: digital records, ribbons and memories. Our ear, as he is analogical (mechanical process - ciliares two-horned anvil, stirrup and hammer and cells) cannot listen to zeros and ones. In this step, already we could conclude the following one: the maximum that we could make not to ruin the real sound modifying its original characteristics would be in the maximum to analogizar it, therefore this already would be the first copy. The digitalização is copy copy, therefore the digitalização cannot directly be gotten of the writing, time that the microphone does not transform sound into zero and one. That is: in the process of analogical writing we have the sound to the outdoors being caught by a microphone (analogical process), stored in the LP or magnetic ribbon and later reconverted into sound to the outdoors again, through loudspeakers. In the process of digital writing, we have process the same increased of the digital phase stops later returning to the analogical phase and thus power to be heard, finishing again the cycle with the analogical process. In short: in the analogical process we have “sound to theoutdoors” - “analogização (microphones)” - “transformation in sound to the outdoors”. In as the process we have “sound to the outdoors” - “analogização (microphones)” - “digitalização (converting)” - “transformation in sound to the outdoors” (CAD and DAC). As if it sees, the digital process is copy copy and depends total on the analogical process, since any transformation of energy mechanics (sound) in electric energy only can be made using devices of analogical electronics, and not digital. We will start explaining the creation of one and another media, in the case, the vinyl record and the compact record of cianina or phtalocianina, and policarbonato, Azo Mettalic and Formazan, materials more used in the manufacture of the compact disc. It is understood as media, of Latin medium, as “half”: Substance manufactured with the purpose to condition information for posterior conversion in music. The vinyl record is produced of the following form: in the studio or to the living creature, the sounds for magnetic ribbon of recorders of coil of highest allegiance, for ribbons DAT (digital audio teipe) or for a super called COMPACT DISC audio CD (SACD) or DVD. It are caught. The form of capture of the sound already starts to divide the opinions of that they have the command of the operation: Part of the engineers of audio prefers the medias analogical as the coil recorders, called Hi-End (used term to detach what of highest allegiance). Another part it prefers current medias digital (DAT, SACD, DVD It; etc). We will choose, to more good exemplificate the writing of the vinyl from the capture of the sound to the living creature, in studio or with auditorium to the outdoors, the media in magnetic ribbon of coil recorders, for these to have the power to capture all the broadband of audio, that is, all the there existing sounds at the moment of the writing. Recorded the audio one in the coil, it if submits all to the appreciation of the engineers for verification of the quality of the audio one. Approved the audio one, this doravante ribbon will be called “to master”. This ribbon will be placed in an equipment of coil hardwired to one another similar equipment to a record player, only that its arm contains a cut needle, also called stiletto. In this similar equipment to one it touches records, will be placed a virgin vinyl record soon to be cut. Cut here it means to have its molded ridges, confectioned. Thus, the coil recorder will all transfer the audio one to the cut equipment, that will go then to elaborate the ridges, cutting them in the virgin vinyl in the selected speed, that can be of 33 1/3, 45 or 78 rotations per minute. It is important to observe itself that all the audio one is transferred to the vinyl. E already is an alert one here: no media is capable to talk back 100% of the original sound to the living creature as it is, in the reality, that is, as our ears had heard it to the living creature. This because the sounds to the living creature are on to some physical factors that are not happened again. But the analogical medias are the ones that more are come close to this, for absolutely not omitting nothing of what the microphones had sent to them, in the writing of the original sounds. E in these is fit magnetic ribbons (of audio it covers and cassettes) and vinyl records. Produced this record for the cut stiletto, it it will be called to lacquer. This vinyl record “will be painted " of silver through an electrostatic process. From then on it will be ready to confection stamper, through prensagem. Confectioned stamper, it is a perfect mirror of lacquer: It contains the same ridges, only that in high relief. E this stamper (these, since they are the two sides of a LP; a and B) then will be placed in a press, that will press virgin units of vinyl and thus it is that ours so known LP's are pressed or simply, vinis. The COMPACT DISC has a process of simpler manufacture: chosen the media, digital or analogical, this it is transferred to an equipment that will mold a matrix contends the inverse one of the furinhos that all the COMPACT DISC contains, essentials to be read for the ray to leiser: Where the laser has puncture does not reflect and this generates data. Where it does not have puncture, leiser reflects and this generates another type of data, generating known 0 and 1. Made this matrix, it it will be placed in a press that the CD's will press and thus is made its industrial production. In the domestic gravável COMPACT DISC, the writing process is another one: it has a layer, more sensible to the ray to leiser stronger of drives of writing and, where it reaches the layer, bubbles are formed that intervene with the laser of the reader and the process is similar to the above described one. The question of “the kept” sounds in the medias The ridges cut for the stiletto in the vinyl are presented as diverse wavy forms of, one deeper, the other flattest ones, softer undulations and more extensive and for it goes there. We will be able to say that these are the data stored in the vinyl. Needle of record player in contact with this diverse undulations, is obliged to produce movement that it is transmitted for a small bobbin in the interior of the fonocaptora capsule, that if it puts into motion in relation to a magnet, (that can be natural or electric) and this produces energy electric. That is, the voice of the singer and the musical instruments produce waves in a direction and direction, that caught for the microphone are transformed into electric waves with the same direction and direction, that in turn are transmitted to the arm of the stiletto of cut with the same direction and direction, producing in the vinyl, undulations also with the same direction and direction, that in turn also generate in the needle of the record players electric waves with the same direction and felt and that in turn, finally, pass for the amplifier with same direction and direction arriving the loudspeakers, there, already transformed into wave mechanics, accurately into the same direction and felt. That is, it has a minimum of possible alteration in the transmission of data in electricity form until its reconversion in energy mechanics. It is important to observe that at no moment the needle of the record player leaves to have contact with the ridges, that are the source of data, being thus guaranteed a continuous and faithful information to the original. In the COMPACT DISC, come the data of an analogical media, as one coil ribbon or a super digital record of audio, the sonorous data are not in its integrate, in its totality, inserted in the COMPACT DISC. Because? Why if all the data had that to go to stop inside of the COMPACT DISC, of the recorded total content to be, alone six minutes of music would fit. This because the sonorous specter generated in the occasion of a music repleta of voices and instruments is immense, including itself there, beyond the tones and halftones (harmonic and the sub-harmonic infinite that can be generated mainly by the instruments that possess the not tempering scale as the violins, violoncelos). E this without speaking of the formantes of the instruments, that are characteristic sonorous (timbres) “personal” of each instrument (therefore no instruments sound equal to the other). As you see, sonorous gamma is immense and it cannot contain in a COMPACT DISC, and in the case of the formantes, it does not have this possibility, a time that already was attemped the reproduction of formantes digitally and this was not possible contents it. Mathematically, we will be able to give an example: let us catch a coder (to encoder) to use as recorder in this experience. This software must have extension .wav, therefore we need a recorder who does not save in way some in the capture of data. We could lower small programinha called FastRec that records with this extension. Serious its voice, speaking a small text, per 3 minutes accurate. Later it verifies the size of the archive: You it will perceive that the archive was with 30 MB. It sees that you it recorded only one canal of voice, therefore, a canal mono. It imagines 16, 24 canals or more as they are the current writings. Of that so great it would be each music, if each one had only 3 minutes? Each one would be with 720 megas of size, that is, a COMPACT DISC alone would hold a music! E the CD's on average possesss15 musics. Then which is the miracle? The miracle is the compression (compression is a term that in the reality would have to be “rarefação”). Of each sonorous wave of each instrument and each voice “examples” are removed (samples) and are alone this that goes for inside of the COMPACT DISC. It is as if I caught a giant screen with all its colors and prints, and in the impossibility to keep it all in a truck for transport, he decided to slice removing it to it some pieces so that it could fit in the truck and, in the destination place, glue all the slices, placing in the place of that they had been removed something similar to it was in the place of them, so that they could recompor the entire screen. That is, the missing parts would be recompostas for approach (interpolation). Therefore it is: as soon as the digital writing functions: Interpolation. The data captured of “master” are restrained in part to be recorded in the COMPACT DISC in form of binary sequences of 0 and 1, but only “examples”, that is, samplings of each sonorous wave in all its extension. It is as if you it clipped in an extension of wave some parts of it in an interval of 10 in 10 cm To this if it calls sampling. How much lesser the intervals, greater the sampling. Evident that I used the measure in centimeters to become more understandable the example. The COMPACT DISC when it appeared had binary sequences of 16 bits (today 24), 22 a thousand samples for second (a/s), inadequately called hertz (this denomination is improper), from there the 22 Khz. Today, a quality COMPACT DISC is recorded in “44,1 Khz” and the SACD in 28224 Mhz. Already we have laser record player with Chips of 24 the 192 bits touching a/s (“Khz”) (But the equipment to read the SACD must be appropriate for the reading of this media, duly warned they will not offer to the fiance's benefits). But coming back to the subject, we will be able to notice the size that would be a LP inside of a COMPACT DISC if no data were saved: Breaking of the example of the three minutes for each music, a good LP, that only holds eighteen minutes of music of each side, it would be with six musics, because 18: 3 = 6. Making the account: 6 X 720 = 4.320. This exactly, 4,3 gigabytes! Only of a side. The two then would have the astronomical amount of 8.640 gigabytes, that is, a LP, if converted for binary data, would have 8,6 gibabytes of size. E this commercially would be impracticable. E notices that in our example, with the software of FastRec writing, the sampling tax is not of the greaters. But as if recompõem the data that lack, for sampling, since the COMPACT DISC does not bring everything? It is the proper converter of the laser touch-record. It places there what he lacks so that you to listen to limpid, wonderful music, without chiado none. But certainly, not being the same music of the initial event. It is logical that this is almost (I said almost) imperceptible for trained ears less. E is not same music as well as would not be the same screen, in the case of the example of the truck. E this appears of diverse forms, because there who is in charge perceiving this is not plus a machine and yes the human ear: many say that it lacks heat in music, I, particularly, perceive that the duration of the serious ones in the vinyl is bigger and them they are more intense, therefore already made the test (logical, becoming it comparison in the same place and with the same equipment, being placed pra to touch same music in the LP and the COMPACT DISC, of course, industrial, masterizado good); there others speak that it lacks to it texture at last to it and, have some perceptions for the rejection, for who it has good ear and good equipment. Part 2: Commenting the questions most frequent on the compact compact disk (COMPACT DISC) and the vinyl. 1. Limit of the register of frequencies in the analogical writing and the digital writing. They affirm that the digital writing does not have inferior limit of frequencies and that therefore it would not be truth that the sound of the vinyl would have more serious. It is truth that the digital writing can reach the 0 well next frequencies Hz and that the analogical writing has a 7 limit of Hz. Well, but the point is not this: The question is not of “limit of frequencies”, but yes of quality of the register of these frequencies what it wants to say - allegiance. The digital writing, that if bases on the sampling of the true wave of the sound, does not preserve the originalidade of this same wave in the final reconstruction in converter DAC and what it is perceived is a fall in decibels (serious) and a tonal modification, direct result of the impossibility of integral reproduction of the original sinusoide, with the discarding of harmonic, sub-harmonic and the formantes ones of the original sonorous specter, impossible of register in commercial levels. E would be obvio: sample is not the integral… In synthesis, a coloquial language: the serious one of the vinyl is full, integral, natural, with all the textures of the sound; he is higher, that is, it has more decibels and it remains in air for more time. The serious one of the COMPACT DISC is more magrinho, more artificial, equal, without tonais variations and remaining little time in air. E is important to stand out that this test always must be made with low volume, to prevent the feedback of the sound through the vibrations of air going in direction to the vinyl (to air post), in the plate of the burrow records, what it could add more serious. The test is made with the listener in the same place, exactly volume in decibels and with same music in vinyl and pressed COMPACT DISC (industrial). A good example, for who has the two medias, is music “Failure in meeting of Spring” of Hermes Aquino, in COMPACT DISC and vinyl of 6 counts, also call compact or only compact record, only that of vinyl. E one will detail: low the rotation of these vinyl compact records of 6 counts favors the emission of serious - they do not ask because - finds that a lesser rotation provokes a lesser inertia in the needle when registering the undulation of the ridge and this causes a bigger definition in the transdução of the sound, that is, in the captation of this sound or its ridges are wider, satiated. 2. It is truth that all sound of a LP always goes to have that to have one chiadinho, one estalinho, or as the Americans people affectionately call “clicks and pops”? It is not same truth. When coming back to buy Lp's, I directly acquired a bought LP of England, for the Internet, in the site www.juno.co.uk, whose enterprise name is junorecords. When placing in the record player, also I placed a new needle, that I only keep for records zero km. Surprise: the sound is pure, without no chiado, snap or similar thing. Equal to the sound of a COMPACT DISC, in pureness terms, that is, absence of snaps (proceeding from energy static) and chiados (proceeding from bad use). Mainly the medium and sharps, clean. E sees that nor I used the Loricraf (optimum liquid of cleanness of vinis). It is important to stand out that the vinyl arrived sealed up (they call “sealed vinyl there”), what it guarantees me that it left the press for my hands. Now what it happened in terms of Brazil is that at the time where all age alone LP, the people they did not have the information level that if has today on the technologies, on as to handle them adequately and to get of them optimum. At that time, one did not spread out information on the validity of a needle or the form to conserve the LP's better. Much LP's nowadays, of vinyl users, is novinhos, without a scratch at least, but with the ridges ruined for having been touched with needles it are of the validity (average validity of 500 hours), that, consumed, they had started to scrape the vinyl of the internal ridges of the record, being damaged partially the registers and allowing distortions. Unhappyly, at the time, “concept ISO was not had”, that is, the habit was not had to pursue quality in that if it made. It seems that nobody was imported exactly with the estalinhos futures. Ceramic capsules and nor if wise person proliferated péssimas what one was “moving coil” or one” moving magnet " (capsules of mobile bobbin and mobile magneto). It was one another time. The discontinuity of the vinyl alone occurred in Brazil, not in the countries of the first world. Vinis new and sealed up is vendidos until today, in some sites in the Internet. Therefore it is, the vinyl only finished - but in Brazil! The PolysomBrasil, in Rio De Janeiro, in Purple Belfort, heroicamente did not stop them to manufacture. It has bands that they make orders and they forbid an amount limited for definitive customers. But it also has those that we only have that to admire, as the singer Nando Reis, who disponibiliza its workmanships in COMPACT DISC and Vinyl, here in Brazil. Alive the Nando, a head to the front of the artistic mentality of its country, following the Americans, Europeans and Japanese that if had not relieved to the massificação orquestrada for lobbies of that they longed for only the profits and that today they make bitter the losses caused for the piracy, in a decision that was a true shot in the foot - the exchange of the analogical writing for the digital one. It is important to register that the Martinho singers of Vila and Ivan Lins have vinis pressed in the United States being able to be acquired in the site www.lpnow.com, with the headings “Batugueiro” and “Amarassim” respectively. Engineers of the Stanton Magnetics, in carried through tests, 80,000 times had put an automatized record player to reproduce a vinyl record. This exactly that v. it heard: eighty a thousand times! E had evidenced, through electron microscope of sweepings (MEV), that it did not have significant consuming of the ridges of the LP that compromised the quality of the sounds. Obviously, the test was made in ideal conditions, as new vinyl and needle and environment without dust, as they are the laboratories. But cost not to remember that these are that they are the adequate conditions of use of a vinyl, what in takes them to conclude that what precociously takes a LP to the consuming is the bad use; the exposition to the dirt, to the dust, the touch of the fingers and the consumed needles that wound the ridges, ruining them, thus compromising irremediavelmente the quality of the reproduction. 5. Current techniques of manufacture of vinis - the “hot cutter”. Currently, in the negative confection of stampers or madres in the process of prensagem of vinis, it is if using a called process “hot stiletto”, that nothing more it is that the heating in the tip of the stiletto made for a very small involved metal wire in its tip, controlled warm, thus producing one more perfect cut. The hot stiletto momentarily softens the surface of the lacquer of the record at the moment of the writing (when the ridges are cut) occasion where the lacquer offers little resistance to the process of the cut, providing one smoother cut. E the distortion that elapsed of forcible ploughing of this material is reduced consideravelmente. The majority of the writings of vinis now is made in this way. 6. Transducion and converting the LP has its registers created through the transducting process, while the compact disc laser, through digitalization. Transducer is any device capable to transform a type of energy into another one. In the transdução the continuous variation of the signal (wave) is kept since the moment of the writing to the living creature until the moment where you listening the result in a sound system. Into the conversion, the original signal analogical continuous is converted a digital respresentação of 0 ' s and 1 ' s (digitalização) and later converitido again to the analogous tension to the signal variation. That is, the sine wave (continuous variation of sianal) does not remain continuous until the end of the process: the wave is picotada in all this process of conversion through a called method sampling, that examples remove it that will compose the final wave to be listened to. It notices that they are different processes how much to the final result: the transdução transforms, the conversion creates. The first one generates a rejoinder of the signal, second, a similar, but not equal signal. The process of restoration of the “digital wave” (serrated wave) for final listening is made in the proper device of COMPACT DISC, as already I previously explained, also detaching that it is at this moment is that the digital sound is become artificial, therefore “the cut” examples is that molds will be taken as to substitute the neighbors not cut (not carried), of course, different of this, therefore the audio wave of in all its dumb activity the time all at the moment of the execution of the sound and none of its parts is equal previous or the posterior one. The consequence of this is the causação of damages to the sonorous, complex wave for its proper nature, with the elimination of its harmonic, sub-harmonic (on-tones) and formantes of the instruments, making with that, in this last case, an instrument accurately sounds equal to another one, what is an aberration, therefore a Stradivárius cannot sound as a violin of another mark, as well as nor between itself sounds equal, in the auditory reality. I read recently in digital electronics, that determined circuits in any type of equipment, mainly of sound, will have that to be always analogical, therefore “continuous variation of signal” makes necessary the presence of electricity of the type. Sound analogical provém of chain of tensions (in milivolts) that variation keeps always continuous of signal (wave sine electric), what it is impossible to occur with a signal that if it submits to a digital conversion, where the signal is intermittent. From there the losses, inevitable, and the pasteurização that if the deriving sound of digital conversion perceives when hearing, any that is it. 7. The Brazilian vinis Brazil never offered vinis of good quality. And to get it worse, brazilians in majory did not have the education technique that exists today, in the main medias, also the commercial ones. Needle did not have validity and the “image” of the vinyl paid expensive, therefore the damnification of the ridges was certain. Incorrect manipulation and maintenance were common facts, with the record players and LP's. But it is fact of that the Brazilian fonográfica industry never offered exactly vinis of excellent quality: The majority of the recorders, at the time, or for conjunctural economic limitations, or perhaps using to advantage of the unfamiliarity of the immense mass consumer of the time, only offered vinis of 100 the 125 gram, with a only acceptable quality. The collection of the Beatles, here in Brazil, was offered in LP's of 125 grams! Incrivelmente we even had LP's of 90 grams. The majority of the imported vinis, of 160 the 180 gram, when compared with our national ones, they demonstrated infinitely superior quality. At the time, the great public was unaware of what it was quality in prensagem terms, accepting normally these types of vinyl. The Brazilian people only came to have a quality notion (although the restrictions above) from the advent the COMPACT DISC, therefore this passed, at a first moment, to be reference in terms of sound pureness. 8. Limit of frequencies is what it matters? I perceive a great general mistake to if trying to characterize this or of another midia for the limit of frequencies reached. Already I spoke above, that the serious frequencies of the LP's can arrive up to 7 Hz (Blacksmith, Peter - Analogical and Digital: The Tecnoestética Politicalization Of the Speech of the DJ's. Doutoramento. UNICAMP), but this fact still remains unknown for the majority. But what I exactly notice it is the extreme concern with limit of frequencies reached for the capsule of a record player, when in the reality the “sound” is much more that this, and is there that the thing complicates in digitalização terms: Things that the propaganda of the COMPACT DISC occulted and nowadays already demonstrate concern, when it speaks insistently in sampling, also using the incorrect term “khz”, when the correct one is a/s (samples for second). It has a true desperation of the scientists of the digitalização to the measure that if uncovers the problems of the digitalização. E the explanation is the following one: The sound of a musical tone is harmonic composites of sobretons or. To this the physics calls of components of Fourier. That is, “There”, for example, he is composed of some harmonic or sobretons, each one with its frequency. The addition of them form what basic tone is called, that in ours in case that it is “There”. We will have: SOUND = C1 + C2 + C3 + C4 + C5 + C6… “where each term Ci corresponds to one definitive frequency, multiple of the frequency of the C1 term”, in saying of Carlos Alexander Wuensche, of the National Institute of Pesquisas Espaciais (IMPE), Division of Astrophysics, 1998. That is, a singular sound, to be more necessary, a TONE, are as a sandwich: he is composed of some parts. In the digital writing, had to the characteristics of the conversion process already explained, they are not transferred to the COMPACT DISC the 100% of the musical register to the living creature. The “slices of the sandwich” or components of Fourier (harmonic of the basic tone) to be more necessary, seriously are harmed, arriving determined studious in the subject to say that they are not reproduced in the COMPACT DISC, what it is noticed by the “frieza” of its sound and other given adjectives already until today. That is, the digital writing “kills” the harmonic ones and sub-harmonic of the musical note (and in such a way the serious ones as the sharps, from there no importance to have the question of the high frequencies the one that if relates certain studious incautos) in the process of interpolation after-sampling and, as already said, is indifferent there the quarrel of the limit of the frequencies, because simply they are not there, in the top, the way or below of the scale of frequencies. That is, before comparing the frequency of the COMPACT DISC with the one of the LP, to argue who it has more capacity to reproduce them, we have that to verify the quality of each note that each one reproduces. This is the point, that must be argued in scientific level on the question of the quality of the sound stored in COMPACT DISC and the sound stored in a record of vinyl or any another analogical media. 9. CD: Pureness of sound. LP: Allegiance of Sound and Musical Pureness. The analogical process transforms, does not create, not recria, does not only intervene with the original workmanship. But it transforms energy mechanics into electric and later in mechanics of new so that let us can hear. Already the digital process, this creates, because to create new thing she is necessary to destroy the old one. To construct a table, if it had that to destroy the tree, certain? This is creation… Then the digital process is thus: energy mechanics - electric energy - codification of the electric energy (it leaves to exist in its original form - the signal, the sinusoide, everything disappears to give to place the binary codes) - reconversion in electric energy - transformation in energy mechanics. He is as if I destroyed a statue to try to reconstruct it from the proper dust. The COMPACT DISC is sound pureness, is not argued. The LP is more: it is Allegiance of sound and musical pureness, since the process that originates it inside puts of it all the unbroken sonorous wave, with all its qualities and defects. As in the life. 10. The equalização standard RIAA desnatura the original event in the analogical process? Not, because she does not move in the integrity of the energy of the wave (she does not modify the milivoltagens of the electric tensions that composes it - they remain accurate). Equalização is to move with amount of sound (volume, dB) and not with its composition. The equalização curve was a way found for the engineers of audio making with that it more fit musics inside of a LP, this because ample the lateral motions of the cut needle very generated wide ridges at the moment of cut of the vinyl making that in a LP it fit few musics. There the serious ones had decided to invert the equalização reducing and increasing the sharps, since these produced lesser lateral expansões in the cut stiletto, thus generating a ridge more I finish, and, consequentemente, more recorded musics. At the moment of the hearing of the LP, all this curve was recouped in the domestic or professional daily pay-amplifiers. E because RIAA? RIAA comes of the English “Recording Industry Association of America”, or American Association of the Industries of Writing. It was the Association that finished imposing (or of it it was chosen democraticamente) its curve of equalização, rank that before had some equalizações: Of the Columbia, of the RCA, of Victor, DECCA, EMI, Capitol, Mercury and others that I will relate ahead. Then to standardize, since equalizados records differently touching in devices of sound also with not corresponding equalizações generated damage in the hearing and much confusion, it is that the industrial community of recorders started to use a curve standard. Coming back to the initial subject, on “because the equalizaçãonão moves in the energy of the wave, it is as if I of this you, in a first visit in my house, a juice of papaya with orange, natural. All natural. E in one second visit, the lack of the papaya, I of this you a mixed natural orange juice with “Tang” of papaya (that sachet with pozinho inside). Therefore it is, is seemed but it is not the same thing. If I place more less papaya or papaya in 1º juice in 1ª visit that v. he made me, I I am moving with amount: more papaya, less papaya and more orange and so on, and this juice can contain until more things, papaya, orange, acerola, at last… this is to move with amounts, this is equalização (RIAA). I move in the frequencies but I do not modify its substance, its physical composition. Now if I move in the COMPOSITION, papo I am another one there: there I modified the original, because papaya essence is not papaya. Essence of acerola, is not acerola. The digitalização desnatura, corrupts the harmonic series of Fourier (component of Fourier). Not recria E the formantes gifts in the instruments. (A teacher would know well to say better what sonorous personality of an instrument is formante -, therefore each instrument sounds uneven). It is this: equalização RIAA can move with the volume of the frequencies of the original event, but not them desnatura; it does not destroy them. It is as if you pro Japan wanted to order a statue of aleijadinho, but it wanted to inside order it of a great envelope: v. it photographs the statue, it triturates this statue, it reduces everything the dust and it places in the envelope. Back in Japan, you it remakes the mass and it sculptures everything of new. It is the statue of aleijadinho or it is its statue? V. codified the statue, was not? For recompô it, it was not? Therefore it is. Codification is this. The energy is destroyed, the creative process disappeared to give place to another creative process. This is digitalização, in a silogistica image. The beauty is not argued, pureness of its statue, but it is not more the statue of Aleijadinho. The digital writing attacks the intangibilidade of the art, rereading it and staining it in its originalidade. (1925 - 1937) - 200 Hz; Victor (1925 - 1937) - 200 Hz; Westrex - 200 Hz; Decca (1935 - 1949) - 250 Hz; EMI - 250 Hz; English Columbia - 250 Hz; HMV (1931) - 250 Hz; EMI (1931) - 250 Hz; London - 250 Hz; Blumlein - 250 Hz; Columbia (1938 - End) -300 Hz; BSI - 350 Hz; Capitol - 400Hz; Mercury - 400 Hz; Brunswick - 500 Hz; Decca (1925 - 1929) - 500 Hz; Edison Laterals (1929) 500 Hz; MGM - 500 Hz; Parlophone - 500 Hz Victor (1938 - 1952) - 500 Hz; “629” - 629 Hz. Acoustical Recordings - 0 Hz. One notices that this last one did not use the process, equalizando normally its writings. The mathematical formula for the attainment of curve RIAA, for that they desire to go deep itself the subject, you finds in the site http://www.tanker.se/lidstrom/riaa.htm. In time: the analogical sinusoide, mathematically speaking, is an infinite straight line + oo, where “n” tends pro infinite. (n = quantum of energy, with amplitude, frequency and too much values), therefore the signal is an electric chain and current it is not interrupted: it oscillates will have been alternated (AC), does not oscillate will be direct current (DC) (obviously I do not speak here of rectified chain). The “made sinusoide” from samples for second (a/s) erroneamente called kilohertz and no matter how hard it second has thousand of samples for (COMPACT DISC, SACD and DVD It) and blocks of 24 bits, 64 or more, is always a finite straight line. E this finitude intervenes with the physics of the sound. Obs. I placed “sinusoide” in quotations marks to facilitate the understanding, therefore the sinusoide mechanics that arrives at our ears, carrying the “teams all” or not, is always fruit of analogical process (transdução), either coming of pure analogical process or saw conversion digital, therefore our ears alone listen to energy, molecular impact and not binary information (0 and 1). 12. CD: Who sings is the device. Workmanship kitsch. Alive the preservation of the art. Alive the analogical medias. What we listen in a COMPACT DISC is what in sociology if it calls kitsch (arremêdo of the workmanship of the artist), because when the signal leaves the analogical circuit where the signal variation is continuous and enters integrated circuit DAC (digital audio to convert), this signal “is destroyed”, rank that is codified (it leaves of being a continuous signal) to be distributed in the some cells of this integrated, composed of microcircuits type “flip-flop” (commands 0 and 1). It is there that our beloved signal of audio is stored in bundles stops later being recriado… Much, but much information is lost between 0 and 1, since in digital electronics it does not have the half term of the analogical electronics (diversividade of milivoltagens). (Cf. p 3, FAQ, in the American site http://www.urpressing.com). It is the history of the sprayed and reconstituted statue of that already I spoke. Good bye signal of audio. E is as sabiamente Ângelo says Alberto Taglier: Who sings is the device (and not it band). 13. Insight: The LP is the wave is congealed. The time stops in the LP. The analogical register in the vinyl is the materialized sonorous wave, that is, the energy is transformed into substance! What it is inside of the LP is the proper a wave! (it is clearly that with losses for being a copy and the fact of the event to the living creature to be dynamic - temperature conditions of and pressure and too much physical factor of the musical moment to the living creature will be never happened again to the same). But it is the wave that is there inside of the LP, materialized, as if you it photographed a ghost! The energy was transformed into substance, was congealed! As a film photo. The LP is the proper frozen wave! The time pára in the LP. Abacus - the digital process the wave is translated, is interpreted by a similar giant structure to an abacus, stored that it is in accordance with stops later being rewrite the interpretation, had understood? The interpretation would be the sampling method. That is, the wave does not enter in the “house” (DAC - converting). It is barred there in the entrance, deals below from above and copied there inside. She does not enter. She is of the side of it are. In short: In the LP the wave is congealed, materialized. You have the wave in its hands. The Professor Fernando Iazzeta of the USP confirms my words on destruction of the original analogical wave. (He checks the site http://www.eca.usp.br/prof/iazzetta/tutor/audio/a_digital/a_digital.html and he appreciates the didactics of who, in my opinion, was who better already approached the digitalização problems). Reading its extreme-didactic text, we can arrive at the following conclusions, for itens: 1. When it says in its text that “its analogical behavior (continuous) has that to be converted into a series of discrete values (discontinous)”. If if he became discontinous what he was continuous, destroyed, even so that to construct ahead (imitation). 2. When it speaks in “samples (samples in English) instantaneous of the sound”. However, the analogical wave in its original state is entire - and not picadinha in instantaneous samples. Then, it was destroyed, eliminated in its original physical manifestation. 3. Where it says “sequência of samples of the variation of voltage of the original signal”. Sample of voltage variation is not the voltage all. 4. Here the question commits suicide: “Each sample is rounded off for the number next to the scale…” However, rounded off he is not ACCURATE. Soon not accurate values go to compose the “digital sound”. Figure of the postado text sees 1ª: the value of analogical sample 2,5 was rounded off for quantizado value 2, in turn represented for 1 and 0. (10). Of sample 0,6 it was quantizado as 0 (zero) and represented binariamente as 00 (zero-zero). However, this is or it is not to deturpar the original? Clearly… Beyond destroyed physically, still it is deturpado. 5. It says more” Must also be noticed that when the audio one is processing, are carried through mathematical operations in each one of the samples (samples) digitalizadas. As the numbers that represent these samples they are finite, to each operation is introduced a small error (of quantisation). When the signal passes for successive tranformações or for transformations that involve complex operations, these errors go if accumulating and start to be audible in the noise form. How much bigger the resolution of sampling, minors (and less audible) will be these errors ". However, if the errors exist, this confirm plus a form of disfigurement of the original wave, for the imperfection of the capture of the characteristics of the original sinusoide. 6. ERROR OF QUANTISATION: “It says: When the sampling of the signal is made, the measured value is approached (quantizado) for the platform next in the amplitude scale having generated small shunting lines in relation to the value of the original signal. These shunting lines, called errors quantisation modify the original signal introducing noise in the frequencies highest. It can be minimized the errors of quantisation with the increase of the resolution in bits”. Therefore it is; if they modify, to modify is to also destroy. It destroyed and it adulterated because it placed in the place something that did not have. However, if it is not possible to represent values beyond a deterrminado limit, harmonic of Fourier the following ones of the chain (Component of Fourier = C1+C2+C3+C4+C5+C6… Cn) simply are ignored. Then the digital writing destroys in the measure that omits sonorous information. Call adulterates the artistic workmanship “music such”, of Someone. 7. ERROR OF CLIPPING: A time that the audio dynamic extension of the digital one is determined by the number of used bits, is not possible to represent values above of one definitive limit. The value higher than can be represented generally is express as being 0 dB. If the amplitude of the wave exceeds this value, occurs one cut (clipping) of the crest of the wave, moving its original form and causing a distortion of the sound”. However, for the fact of the error of clipping to be a question of amount and not of quality, this error is not excellent in the question of the denaturation of the workmanship, therefore errors of clipping are gross errors in a masterização process and are prevented. But it means that the writing digital not accepted distortion as the accepted analogical writing, therefore 3dB is current fact to record themselves analogicamente with peaks of + and to get good resulted. E finally, 8. ERROR OF DITHERING, that is the addition of random noise to the signal to distribute the errors and to minimize the auditory effect caused by them (Op. Cit. Iazzetta). Concluding: I find that we must have conscience of that music in conserve is so ART how much the touched one to the living creature and must be expurgada of the electronic-digital processes that modify-in and transform it into a KITSCH. 15. Tutorial of the Professor Fernando Iazzetta of the USP - It is essential to visit it and to explore link for link of this spectacular study: http://www.eca.usp.br/prof/iazzetta/tutor/. The ideal temperature for the storage of the vinyl is of until 30º/35ºC, according to William Carvalho, of the plant of prensagem of vinis PolysomBrasil, http://www.polysombrasil.com.br/geral.htm. Lower temperatures are good for the storage, since that not extreme. The vinis must be kept in lots of 10 the 12, each one in its proper small partition. It prevents the storage in the diagonal line. Fat of the fingers and dust must be prevented. Humidity also, therefore generates fungos, that harm the vinyl. Antistatic pistols, machines to wash records and excellent antistatic liquids exist in the market good, but all this material is imported. It prevents to keep the vinyl it are of its plastic layer, therefore the cardboard staple fibres of the layer can be deposited in the ridges (this for vinis manufactured with layers of low quality - the layers manufactured currently are of paper card of high quality and this risk already is minimized). The direct solar Light must be prevented. It never leaves vinis in closed car, therefore exactly that the time is cold and closed, the sun can appear suddenly and transform the car into a greenhouse empenando its vinis. It prevents to after dry to vinis with electric drier the laudering, therefore the vinyl is sensible excessively to the temperature, especially when this temperature is applied in way not uniform in all its surface and it does not have correct control of the exposition - certain it is to leave to drain it and to dry of course, of preference using a varal to cross its punctures (it separates them with isopor small pieces). Before the laudering, it protects the stamps with proper protectors (mattered). In the absence of special detergents for laudering, the best option is the neutral detergent. E in the Internet has gratuitous projects of construction of cleaners the vacuum (vacuum to cleaner). Elepês very empenados can be unwarped with marble plate on the same ones made use by a time raised, of more or less one 3 months, according to experiences of some audiófilos of vinyl. For a more complete content on the subject, it visits the http://paginas.terra.com.br/educacao/audiolist/ pages and it will encontará a text completíssimo on cleanness, storage and conservation of vinis. The AudioList is one of the most complete forums (plural in Latin: fori) of debate and information on audio in Brazil. Information music does not exist. That is, music of bytes does not exist! Music is vibration: the same analogical process that exists in mine and its ear is what it gives birth to a vinyl: the transdução. God, when in he created them, opted to the analogical one. All our directions use analogical processes! God wise person what he was making. The sound, from air, is potencializado by a shell that is our ear. More concentrated it is when entering in the auditory canal. When arriving at the spandrel, the transdução process starts: the spandrel transmits the vibrations for the hammer, two-horned anvil and stirrup, that in turn will transmit the vibrations to the internal ear, where a liquid will transmit these vibrations the ciliares cells that finally they will convert the mechanical signals into electricity, that, in turn, will be transferred to the brain, that will analogizará the information in having given the sensation of “music”. The great difference between the analogical sound and “the digital” sound is that the first one is proceeding from real an analogical signal and as processing is proceeding from an analogical signal, what makes with that the digital writing does not have the allegiance that the analogical writing has in function of this destruction of the sine electric wave, necessary fact to the efetivação of the sampling process (tax of sampling or sample rate). E this culminates in two causes for this sonorous inferiority: The errors of quantisation and the errors of reading, called errors of dithering. Dithering is the addition of random noise to the signal to distribute the errors and to minimize the auditory effect caused by them (Op. Cit. Iazzetta). Imperfections in converter D/A (digital - analogical) and in the quantizer also can introduce spurious sounds, especially this last one. According to thesis of after graduation in electric engineering of authorship of Christian Gonçalves Herrera (UFMG), the not linear nature of the converters in the digital-analogical stage, the feedback and the fact of the noise proceeding from the quantisation not to be white, introduce spurious sounds in the reconstructed analogical wave. It says: ”… a aspect that deserves attention mentions the not linear nature to it of the converter, to the feedback, and the fact of the quantisation noise not to be white as assumed. Everything this leads to the appearance of periodic components (limit cycle oscillations) in the exit of the converter. These components can be placed inside of the band of the signal of entrance, in converters mainly first-class, what he is extremely undesirable in applications of audio and voice ". 20. The impossibility of the high writing in the digital process. The digital writing cannot exceed the 0 dB in the writing level. If this to happen, will have immediate distortion in function of the error of clipping, with unacceptable characteristics. It is slang enters the studio professionals to say that definitive music “is clipada”, as synonymous of distorted. In contrast, the analogical writing can be high, with the signals exceeding the house of the 0 dB. It is very common in the analogical writings, the reach of the peak (peak level) to surpass the house of + 3dB. Music in its original state is “a volatile” art, that is, its exhibition disappears after. From there the necessity of being conserved of the form more approached of the original to be appreciated repeated times. 22. The digital writing is a releitura of the art and not a reading, as it would have to be. The VINILNAVEIA intention is the fight for the preservation of the art and conscience of music as so intangible art how much the sculpture, the painting, the drawing, the poetry, rhymes it, the romance… etc. In the measure where the energy is destroyed to changed itself into mere information, the creative process of the artist disappeared to give place to another creative process, despite imbuído of a retauração of the original. The art is intangible, after its creation. Exactly that the artist modified it, already would be another art, and not previous it! He is therefore that I affirm that the digital writing is a releitura of the art, and not a reading as would have to be. E more: a violating releitura of the art, and not a reading of the preserved art. The art must be respected, as well as its addressee, the man, who has the right to have access it in natura, without interferences. In another way, it will not be the art of the artist, but of the producer of the studio. E as it is impossible that music, also the songs, musicadas or not, is generated directly in the digital way, the codification of the analogical one (is read: digitalização), always will be a conspurcação, a deterioration of the musical art. The vinilnaveia intention is not to collate technological options, but beyond other things, to fight for the preservation of the musical art, calling the attention the people who music is so art how much a sculpture, a painting or another artistica to be intangida and respected manifestation. 23. The aspects technician must be enclosed yes, in discipline Artistic Education. The necessary world to be educated artisticamente in relation to erudite and not erudite music. The legitimate appreciation of the art, not only the musical comedy, passes for an artistic education of its apreciador. But what if it perceives it is an exclusion of the art-music of the studies of the artistic education, that determines scientific criteria for the establishment of the relation man-art. The recognition of the value of the artistic originalidade as starting point for a true apprehension of the art passes far from the relation man-music. It is necessary that the schools of artistic education, in average or superior level include the “intangibilidade of the product art” in the process of musical conservation as requisite to be studied and deepened, with sights to the preservation of a legitimate objetal relation of the art with its addressee, the man. Optimum place of Brazil to acquire a quality record player is in the BEATSHOP, São Paulo. Enderêço physicist of the store is Street Bacelar Doctor, 240 - Joint 04 - Vila Mariana - São Paulo. Another place is Audio Brazil, also in São Paulo, whose enderêço electronic is http://www.brasilaudio.com.br/store/. Another option still in São Paulo is the Eletrosates store, in the Street Ifigênia Saint, whose site is www.eletrosates.com.br. In all these store, you find marks of high quality as TECHNICS, NUMARK, STANTON, GEMINNI, AMERICAN DJ and others of high-allegiance. The Record player can be ordered by the Internet or telephone and arrives in its house in safe packing and specialized transport. Valley the penalty, also by small, but the significant one, reduction of price that the store gives to it when is chosen the option of purchase for the Internet. There also you find accessories for them. Another good option is to buy them of the United States directly, for the Internet, in the site http://www.needledoctor.com. The NEEDLEDOCTOR is the biggest store that I know of vendas for the Internet of domestic, professional record players, state of the art, static nostalgia (TEAC), capsules, needles, pistols and an equipment world for disc-jockeys and demanding audiófilos of the entire world, with a very easy page to sail and to buy. But in this in case that, it is essential to calculate before the value of the tax to be paid when of the entrance of the equipment in Brazil, in the customs, that in the exterior are known as “sales tax”, so that the value final of the investment is known. 26. The record player is an instrument? Yes, at the hands of the DJ's they are yes, therefore together with the sonorous reproduction these artists add sounds to touched music, removed of the proper burrow records, functioning as well as an instrument to the added living creature new sound to the sound in conserve, that is the vinyl. Also they make releitura of music, with its “loops”, pauses and others techniques more. The proper VESTAX enxergou this and created the record player instrument, called “Controller One”, that it creates independent musical notes of the sound of the vinyl, being able these to be controlled even through a pedal that is part of the set; it sees in http://vestax.com/v/products/players/controller_one.html more details of this unknown and vanguardista product. But when I mention myself to the record player asking if it is an instrument, it wanted to sharpen the curiosity for the following physical point of view: what he is one touches records senão a captador (capsule and needle) and a driver, as the vinyl, that if it holds as a true vane of a violão? Or a violin arc? Accurately, the ridges, in its relative movement in relation to the needle, make-in vibrating, such which a vane vibrates a rope… This rope vibrating, makes to resound a wooden box, as in the case of the violão. As the record player is not a box with properties acoustics, it it transmits the vibration, such which an electric guitar makes, direct for an amplification system. That is, summarizing: the vinyl if holds as a vane and the joint needle and capsule, as a rope! The system is the same of the guitar, with the difference that the vinyl possesss the movements of frozen form; the ridges, there, stopped in the time and the space, always made use to put into motion the needle in equal way; whereas the vane is put into motion by a human being, that in each chance, practises different movements touching same music, since the emotion human being makes to always vary the intensity of the force with that hand and arm print in the rope. That is: Of the physical point of view, the record player is an instrument, mainly at the time of gramofone, where the needle excited, not an amplifier, but an acoustic system of projection of the sound, in the reality, a true box of sound. 27. The digital writing is a releitura of the art and not a reading, as it would have to be. The VINILNAVEIA intention is the fight for the preservation of the art and conscience of music as so intangible art how much the sculpture, the painting, the drawing, the poetry, rhymes it, the romance… etc. We know that music, letter + sound alone if transforms into art at the moment where if manifest physically in air. As it is necessary “to crystallize” this event, to materialize it later to repeat it, appeared what it is known as “writing”. Thus, the energy is stored in physicist-electronic processes. The first materialization of the sonorous energy if calls transdução, that is the transformation of sonorous energy in electric energy. Into the analogical process, it a time (in electricity) is only converted and later reconverted into sound. In the digital process, not: it has two conversions until the reconversion in sound. E is there that it is the problem: In the measure where the energy is destroyed to changed itself into mere information, the creative process of the artist disappeared to give place to another creative process, despite imbuído of a retauração of the original. The art is intangible, after its creation. Exactly that the artist modified it, already would be another art, and not previous it! He is therefore that I affirm that the digital writing is a releitura of the art, and not a reading as would have to be. Reason? Because the digital process part of an analogical signal, while the analogical signal part of real the sonorous wave! The analogical signal is the first interpretation of the Real. Already the “digital wave, is resulted of a sampling of the analogical wave, of the analogical signal. That is, it is a releitura of the Real, a releitura of art-music, sound. E more: a violating releitura of the art, and not a reading of the preserved, unbroken art. He is obvious, that the ideal would be that the sound could “be congealed” in all its duration, in an ideal”, physically impossible container “even of if imagining with what we know on science nowadays. Then sitema to register analogicamente is what more it is come close to this! Conclusion: The art must be respected, as well as its addressee, the man, who has the right to have access it in natura, without interferences. In another way, it will not be the art of the artist, but of the producer of the studio. E as it is impossible that music, also the songs, musicadas or not, is generated directly in the digital way, the codification of the analogical one (is read: digitalização), always will be a conspurcação, a deterioration of the musical art. The vinilnaveia intention is not to collate technological options, but, beyond other things, to fight for the preservation of the musical art, calling the attention the people who music is so art how much a sculpture, a painting or another artistica to be intangida and respected manifestation. 28. The aspects technician must be enclosed yes, in discipline Artistic Education. The necessary world to be educated artisticamente in relation to erudite and not erudite music. The legitimate appreciation of the art, not only the musical comedy, passes for an artistic education of its apreciador. But what if it perceives it is an exclusion of the art-music of the studies of the artistic education, that determines scientific criteria for the establishment of the relation man-art. The recognition of the value of the artistic originalidade as starting point for a true apprehension of the art passes far from the relation man-music. It is necessary that the schools of artistic education, in average or superior level include the “intangibilidade of the product art” in the process of musical conservation as requisite to be studied and deepened, with sights to the preservation of a legitimate objetal relation of the art with its addressee, the man. 29. Where to buy record player. Optimum place of Brazil to acquire a quality record player is in the BEATSHOP, São Paulo. Enderêço physicist of the store is Street Bacelar Doctor, 240 - Joint 04 - Vila Mariana - São Paulo. Another place is Audio Brazil, also in São Paulo, whose enderêço electronic is http://www.brasilaudio.com.br/store/. Another option still in São Paulo is the Eletrosates store, in the Street Ifigênia Saint, whose site is www.eletrosates.com.br. In all these store, you find marks of high quality as TECHNICS, NUMARK, STANTON, GEMINNI, AMERICAN DJ and others of high-allegiance. The Record player can be ordered by the Internet or telephone and arrives in its house in safe packing and specialized transport. Valley the penalty, also by small, but the significant one, reduction of price that the store gives to it when is chosen the option of purchase for the Internet. There also you find accessories for them. Another good option is to buy them of the United States directly, for the Internet, in the site http://www.needledoctor.com. The NEEDLEDOCTOR is the biggest store that I know of vendas for the Internet of domestic, professional record players, state of the art, static nostalgia (TEAC), capsules, needles, pistols and an equipment world for disc-jockeys and demanding audiófilos of the entire world, with a very easy page to sail and to buy. But in this in case that, it is essential to calculate before the value of the tax to be paid when of the entrance of the equipment in Brazil, in the customs, that in the exterior are known as “sales tax”, so that the value final of the investment is known. 30. BURROW PLANTS RECORDS IN THE WORLD It visits the sites below. E does not leave to appreciate the recorder of vinis of the Vestax and the famous “Record player Instrument”, where the DJ can modify music, as in a releitura. Click in products > Turntables. http://www.numark.com/ http://www.stantonmagnetics.com/v2/index.asp http://www.panasonic.com/consumer_electronics/technics_dj/flash.asp http://www.vestax.com/ http://www.geminidj.com/home.html http://www.rega.co.uk/ http://www.roksan.co.uk/ (Record Players - Record player that records in virgin vinyl) http://www.adjaudio.com/category.asp?category=Turntables 31. The record player is an instrument? Yes, at the hands of the DJ's they are yes, therefore together with the sonorous reproduction these artists add sounds to touched music, removed of the proper burrow records, functioning as well as an instrument to the added living creature new sound to the sound in conserve, that is the vinyl. Also they make releitura of music, with its “loops”, pauses and others techniques more. The proper VESTAX enxergou this and created the record player instrument, called “Controller One”, that it creates independent musical notes of the sound of the vinyl, being able these to be controlled even through a pedal that is part of the set; it sees in http://vestax.com/v/products/players/controller_one.html more details of this unknown and vanguardista product. But when I mention myself to the record player asking if it is an instrument, it wanted to sharpen the curiosity for the following physical point of view: what he is one touches records senão a captador (capsule and needle) and a driver, as the vinyl, that if it holds as a true vane of a violão? Or a violin arc? Accurately, the ridges, in its relative movement in relation to the needle, make-in vibrating, such which a vane vibrates a rope… This rope vibrating, makes to resound a wooden box, as in the case of the violão. As the record player is not a box with properties acoustics, it it transmits the vibration, such which an electric guitar makes, direct for an amplification system. That is, summarizing: the vinyl if holds as a vane and the joint needle and capsule, as a rope! The system is the same of the guitar, with the difference that the vinyl possesss the movements of frozen form; the ridges, there, stopped in the time and the space, always made use to put into motion the needle in equal way; whereas the vane is put into motion by a human being, that in each chance, practises different movements touching same music, since the emotion human being makes to always vary the intensity of the force with that hand and arm print in the rope. That is: Of the physical point of view, the record player is an instrument, mainly at the time of gramofone, where the needle excited, not an amplifier, but an acoustic system of projection of the sound, in the reality, a true box of sound. 32. Digital sound: an imitation of the analogical sound. The “digital sound” never will be better of what the analogical sound, beyond what it was said, for a simple question: it is an imitation of the analogical sound. The thing functions thus: The analogical sound is an imitation of the real sound, and the “digital sound”, an imitation of the analogical sound. This because digital microphones do not exist, all the principle of capture of the sound is analogical, because the capture of a vibration for physics questions, has that to be analogical, transduzida. The “digital sound” that is affirmed as such in the reality is the digital process reconverted into analogical sound, since 0 and 1 are not a vibration. The process of digital writing is only one “purification” of the analogical sound in the attempt “to make to improve it”, what we know, is controversial, at least. "De Vinilo a MP3, por Sputnik (junio 2002). Introducción. Cuando apareció el estandard de compresión para cd, a los sibaritas de la buena música nos resultó bastante molesta la gran diferencia del sonido obtenido con el nuevo suporte respecto al sonido que nos ofrecian los cabezales de los antiguos tocadiscos, con sus agujas de diamante, siempre dispuestos a captar cualquier frecuencia, deseada o no, que pudiera salir del surco del vinilo. El estandard digital para cd requeria de una discriminación de frecuencias suficiente como para poder guardar 80 minutos de sonido en el espacio físico del cd. Aunque la digitalitzación nos ofrecia la supresión de frecuencias molestas, como los zumbidos de fondo (hiss) características de las cintas de cassette, y los ruiditos de corriente estática y deterioro del soporte (clicks&pops, rumble) característicos del vinilo, con todo el paquete también desaparecian unas gamas de frecuencias que se consideraban "imperceptibles para el oido humano" y que debian sacrificarse también para lograr alojar esos 80 minutos de música. Pero la consideración no era del todo cierta: esas frecuencias, aparentemente imperceptibles, son necesarias para dotar al sonido de un "cuerpo" que en los vinilos permanecía intacto. Con el estandard cd, los timbres resultaban más pobres, y esto se hacía patente muy especialmente en los bajos. Con la aparición del Minidisc, el problema aún iba más lejos: Nuevamente se trataba de conseguir un mayor ahorro de espacio, y nuevamente se conseguía mediante la supresión de más y más frecuencias, siempre bajo la excusa de "que son imperceptibles para el oido humano". Ahora se trataba de supresiones tan salvages como esta: "De dos frecuencias idénticas que se producen en un mismo instante (muestra) se suprime aquella que tiene menos intensidad (dbs) sin que el oido humano lo advierta". Así, pues, ¿Qué pasa con los armónicos? por ejemplo. ¿Qué son los armónicos, sinó frecuencias idénticas que se sobreponen? Os imagináis que sucede, por poner un ejemplo, si intentamos copiar un concierto de música coral a formato md? Los timbres se empobrecen más y más, y al final nuestro oído se acostumbra a escuchar las cosas de una manera "light", totalmente acorde con los tiempos que corren, de otro lado". (Veja mais em http://www.hispamp3.com/tallermp3/como/f_vinilo1.shtml). 34. Analogical Backup in magnetic ribbon of its CD's: Reason to make? You wise person who the manufacturers of CD's and DVD's do not give to guarantee to its customers legal entity, who buys them wholesale? But they give guarantee to magnetic ribbons? Therefore it is, as already it was spoken in this site, the digital media is fragile, unexpected how much to its durability. It is a product, of the chemical instavel, point of view. Dye, metallic layer of COMPACT DISC or DVD, usually to suffer attacks from the atmospheric pollution, oxidation of the reflective layer, the manuscript and even though of fungos originated for bacteria in the manufacture process, therefore are very dificult to control the sterility of any environment that is, also of the machines and robots. It also has one another type of attack, sui generis: proper touch-COMPACT DISC, when the mechanism of tray and beginning of rotation of the COMPACT DISC is not functioning well (for consuming), arranha COMPACT DISC or DVD. It notices that in some CD's or DVD's v. it finds scratches arched, impossible to be made for the hand human being. Therefore it is, then its COMPACT DISC polishes or then simply “it gives error” and it does not open, if one may use the expression. We could make a trick and say that “COMPACT DISC is as airplane: it costs to fall, but when everybody falls bush”. It is clearly that, rare, it has accidents with survivors. But everything this is for portraying the fragility of the digital media, that not perdõa determined aggressions. One looks magnetic you emendation when part; a vinyl, you can fix the pull of the band with a penxs cover “bic” rubbing in the place or simple cleanness; or same preventing the defective band. In the CD's and DVD's you cannot make this. Therefore, I suggest backup of its CD's more important, those that v. it never does not want in one day to lose. E you go to be surprised at a thing: With the writing of COMPACT DISC for magnetic ribbon, its music earns more serious… Perhaps the lesser dynamic band of the ribbon in relation to the COMPACT DISC restitutes the medium and extreme sharps of the COMPACT DISC in its had place, improving the final equalização. Perhaps the proper equalização of the analogical equipment makes this, or the two conjugated. Things of the analogical one… Things of the continuous variation of signal, base of the analogical system. It protects its preferred musics of this intolerância of the digital medias, therefore it is not known at some future date. The magnetic ribbons have indefinite durability, as well as the vinis. It has store and professionals who clean ribbons with fungos and equipment specialized in this, for the entire world. Recently a magnetic ribbon capable was developed to store 8 Terabyte of data, therefore the companies who work with strategical data had lost the confidence in the digital medias. 35. Magnetic ribbon of soon-invented double layer with 8 Terabyte of storage capacity Magnetic ribbon obtains to store 8 Terabyte of data. Substance de 11/08/2006. Source: Site technological Innovation - http://www.inovacaotecnologica.com.br/noticias/noticia.php?artigo=010150060811 Text in the complete one: “In times of DVDs of high definition and optic records with blue laser, you would know to say which is the way of more lasting digital storage - that one that obtains to keep the unbroken data for more time? If it does not scare, but they are the magnetic ribbons, that have a useful life estimate in a century. Few manufacturers of CDs and DVDs for more than guarantee the maintenance of recorded data in its products what 10 years. He is not to toa that all the financial and enterprise data continue being filed in trustworthy magnetic ribbons. He is clearly, as all the too much technologies of storage, the magnetic ribbons had evolved very. E the scientists of IBM seem made use not to allow that a so lasting media is stops backwards. They finish to beat the record of density of storage in magnetic ribbons. The new ribbon obtains to more than register 6,67 billion bits for square shaped count - 15 times the density of best current ribbons. This will mean to place 8 Terabyte of data in a ribbon LTO (“Linear Open Covers”), the standard of the industry, with less of the half of the size of common a VHS ribbon. Eight Terabyte of data are more or less the content of 8 book million. To have a library of these, you it would you are welcome need less what 90 kilometers of shelves. The technology that allowed the increase of the storage capacity uses a new magnetic material called ferrite barium. Also it is the first time that the magnetic ribbon reading uses the effect of the giant magnetoresistance, the same used in more modern hard disks. The research was made in partnership with the Japanese company Fuji. The scientists had affirmed that the new technology, that uses a double layer of magnetic material, could be in the market in five years ". 36. The Red Book. The “Red Book” or Red Book is the industrial manual standard patented for the Dutch Philips for the manufacture of the COMPACT DISC of audio contends the parameters and specifications techniques that will have to be observed in the manufacture of all the formats of the COMPACT DISC and the CD-ROM. Amongst the specifications techniques, the physical properties of the COMPACT DISC, the óticos parameters of the laser of cut of master are enclosed glass, the shunting lines and tax of permissible error (BLER - block error), the tax of correction of the error and modulation system, narrow channels and graphs of the sub-code of each track of music. (subcode track). It also stipulates the standard of codification or digital writing (audio digital encoding, of 44.100 a/s). More information can be gotten in the site of the Philips http://www.licensing.philips.com/information/cd/audio/. 37. The Decks Reel you - the Reel or simply, the Decks de Rolo: the darlings of the audio studios (a few, sorry). The best ones are the Studer Revox. Tape Decks of coil, calls are of “Reel you - the Reel or open there decks, possess bonanza quality of sound due to width of its magnetic ribbon, that allows a sufficiently generous dynamic band. The widths of more common ribbons are of ¼ of count, 1 and 2 counts, as of the Decks professional of 3M. Nowadays it is very easy to acquire one of these, on account of the education lack on sonorous quality that exists in Brazil where if it privileges more the small size of the equipment in sonorous detriment, ignoring that in audio, the size is essential. In the Free Market, for example, they can be acquired by prices that vary of R$300 the R$1.500. However, its state must criteriosamente be evaluated. But it is in United States, at least for the time being, that you can acquire revised in state of “Zero km”, for site that is www.angelfire.com/electronic2/vintagetx/ where its proprietor, that is the proper technician, plus a perfeccionista and minute revision of all the aspects citizens the consuming in the equipment. Also the same it describes in stages all the way that it covers during the criteriosa maintenance. It also explains, why the determined rubbers of Cover Decks ruin and others not. E as support to the revitalização of these wonderful machines of audio, we have a reondicionador of rolopressores, rubber pulleys and of that it turns and it consumes finally in these jewels of audio the analogical one, whose site is www.srdpc.com/witt/, and, the site where you have its disposal for venda 56,600 write heads of 128 types, that are the site http://www.magneticheadcompany.com/, of my friend Joe Dundovic. Of this form, long life to the Decks Reel you - the Reel! 38. The Club of Atenas, in Greece. Clubs of “tocadisquistas” if had formed, as the Audiophile Club of Athens, in Atenas (Hellas), in Greece, whose enfereço in the Internet is http://aca.gr/. There the refining of the refining in substance of musical pureness in record player is cultivated. They are collections and collections of the most varied record players manufactured for experts, using the maximum technology known for the man to remove of these equipment the purest and faithful sound. Valley the penalty to visit the site. 39. P-Mount and Standard Cartriges (Formats of Fonocaptoras Capsules). The fonocaptoras capsules are vendidas in two formats: Standard P-Mount and. The first one if fixes for the behind part of headshell or the arm. Second, the standard one, is fixed in from above part of headshell. It does not have differences of quality in if treating to the same capsule, of same mark and numeration of plant. Hi, my friend Joaquim, all good with you? With me Thanks to God All Joaquim my friend, I clearly that I allow the friend to place in the Blog, is an honor for me friend. I read its Blog on the audio one and found good exactly, excellent very, friend, congratulations. I also am I eat the friend. I love of audio passion the analogical one, already the digital one… I coexist it without problems, but its sound does not leave me contents. “The very shining” frieza of the sound, serious convincing and “the little dry”, sharps and medium, sound without metallic dynamics and, this are what it seems me. Clearly, a personal opinion. Already audio the analogical one is pure, without digital disguise and its samplings. Audio the analogical one serious has encorpados, acute and average perfect. Everything “in the measure”. Palco of audio an analogical one is fantastic, immense, as it was to the living creature, more real. The digital one is very metallic, without life. I will never open audio hand of my analogical one, the kings of mine setup are one Burrow Records and Tape Deck. The COMPACT DISC also is there, therefore the lack of my musics in my medias of passion does not exist more for venda, lamentable. The digital one is “clean” without noises… But it will be that this is allegiance? I think that not. Allegiance for me is the reproduction of a workmanship in its totality, with all the sounds gifts at the moment where the workmanship was executed, without exceptions also of chiados if they they will be part of the workmanship… I am contented friend who has liked my phrase. Really always I say this, therefore I adore a good music, mainly when my singers are singing and not some flip-flop's and systems DAC, binary codes, this is not music, mathematical is transformed into sound. Well different and impure, unfaithful, the original workmanship. Friend Joaquin, is a great pleasure to talk with the friend, always orders messages to be able to talk on our audio passion the analogical one, that will be always the enternamente perfect media for writing with allegiance. Friend Joaquin, thanks a lot, a great strong e I hug of its Ângelo friend, Is With God”. Reader, finally a substance without preconceptions and good informed on the vinyl. But we go to finish with this history of “In full century XXI still exist people…” This is conscience lack on what it is called “Culture of the Substitution”, imposed for the Industry, culture this that does not serve to our interests, only to the ones of them, the industrials (Former: industries of sound devices, fonográficas, etc. ), are asked: because it is that consecrated technologies already cannot coexist next to new technologies? They industrials, use cunning “if v. not to run in the store to change for the new launching, YOU IS OBSOLETE” We go to stop with this. The floor of the time does not define necessarily that things invented more recently are better that the invented ones previously. We go to make the brainwashing in contrast - to finish with this old and new, old and current history of. Efficient yes. A thing or is efficient or not. Who already obtained to substitute the blade to shave? E the comb? The simple ones is perfect. The vinyl is perfect - it, if well well-taken care of, lasts centuries. You wise person who the media of a COMPACT DISC or DVD can come with fungo of plant? E to finish there with the media in few years? V. wise person who fungo eats the acrylic (phatalocianina) of the COMPACT DISC, and after 200 errors of block exactly (bad blocks) the COMPACT DISC does not function? There only with extracting special programs of data, and it looks at there? E the poor person of the vinyl touches until muitíssimo matratado… until cracked burrow! (Laser V. ELP Turntable). To invent a simple thing with the efficiency maximum is the challenge. Complex technologies are full of problems. I doubt that somebody more than has touch-COMPACT DISC of 5 years that never the reader has changed, each more expensive time and with hand of expensive workmanship also. Or that already touch-COMPACT DISC has not played except this exactly. I asked to my brother: Cadê its 1º Sony touch-COMPACT DISC? It answered: garbage. E one touches records? The 3000 TD Polyvox dirct drive daqui only has 20 years… needle exchange… and for the visa, it does not have stated period to stop to last… Because? Because it is simple! This is the challenge. The Víctor Mirol, one of the biggest authorities in sound of this our country already said that if what it was expense in technology in the COMPACT DISC if had been used to develop the analogical media, would not be in the impasse that we are today with the DVD It and the SACD on the high-allegiance. The sound of the vinyl is reference. The digitalização is destructive, clean it, but it destroys; it is as if it was a chemotherapy (unnecessary)… Clean what it is “bad”, but it destroys things good. Between 0 and 1 many things of the allegiance of the sound are lost. (Well-taken care of, with the image it occurs the same…) If to want to know more, visit mine blog http://vinilnaveia.blogspot.com/ where I bedding everything that I write there on analogical and digital. But v. it is of congratulations, with the new text without preconceptions, without chiados… One I hug, Joaquin. (In 22 of March of 2006). The sound of the vinyl is better that of the COMPACT DISC… Commenting a perplexity. When affirming in definitive occasion for certain person who the sound of the vinyl was better of what of the COMPACT DISC, this stopped perplexa, declaring: “But the COMPACT DISC has a so pure sound”. It is accurately there that it is the problem: pureness is not quality much less allegiance. “The There” electronic one is not the same that “a There” acoustic one… The first one has pureness, but it does not have quality, since they lack the harmonic ones to it that they would have to compose it. E as, beyond being pure, has musical quality, is complete of the physical point of view. I gave this example to say that the COMPACT DISC on account of the proper process of creation that it is inherent does not bring all the gamma of audio of the music that if considers to reproduce. That is, the proper digital process contains limitations of physical order that hinder it to reproduce the workmanship faithful while art product. The main limitations are the “Error of Quantisation” and the “Error of Dithering”, already mentioned previously. No matter how hard if it increases the number of samples for second, if it will not be able to move away the reality from that the original sonorous signal was destroyed at the moment where it was transformed into mere set of binary codes, stops later being reconverted into continuous energy. The original signal, that was continuous, was transformed into “information pulses”, in flip-flops of the analogical electronic circuits. E as the codification has a language very limited for the accurate reproduction of an electric changeable signal (0 and 1), is not possible and it will never be in this type of process, to accurately reconvert the audio signal of with all its original information. In reason of this, the harmonic formantes and the necessary ones to the faithful reproduction of each note are lost that composed the original event at the moment of the writing in studio. Still in relation to the intended “pureness”, rivaling the chiado presumption or estalinho that they can exist in an analogical vinyl record reproduction (well conserved records not “they chiam” and nor estalam, not to be eventual estalinhos statical) we have in the COMPACT DISC the effect “ringing”, that it elapses of the natural errors of reading of the CDA's (converting digital-analogical) in the reproduction, and also of the decurrent imperfections of reading of the normal deterioration of a common COMPACT DISC, therefore we know that the metallic surface when oxidated it generates a “black point” that is read as noise, and immediately is distributed aleatoriamente by what if it knows as “error of dithering”. Translating small: “the chia” COMPACT DISC not, but “ringa”, since a condition of high and bothering impercepção up to one “ringing”. 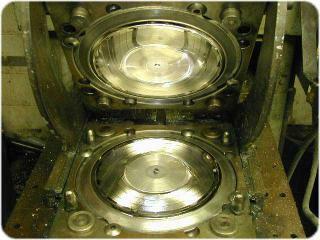 The more “ringing”, more metallized is the sound of the COMPACT DISC. That is, “chiado” is a camouflaged species of, less honest. 2. It is truth that all sound of a LP always goes to have that to have one scratchness, one clickness, or as the Americans affectionately calls “clicks and pops”? 9. COMPACT DISC. Pureness of Sound. LP: Allegiance of Sound and Musical Pureness 10. The equalização curve adopted standard RIAA desnatura the original event in the analogical process? 17. “God opted to the analogical one”. 20. The impossibility of the high recording in the digital process. 22. The digital writing is a releitura of the art, and not a reading as it would have to be. 23. The aspects technician must be enclosed yes, in discipline Artistic Education. The necessary world to be educated artisticaly in relation to erudite and not erudite music. 25. TURNTABLES FACTORIES IN THE WORLD - CATALOGUES WITH PHOTOS. 26. The turntable is an instrument? Part 5 - Message of the author to the readers. Joaquim Martins Cutrim - author. This blog was updated. See in http://vinilnaveia.blogspot.com - translate it to portuguese.